Native Instruments today introduced ACTION STRINGS – a phrase-based instrument featuring a 60-piece string orchestra. Running in KONTAKT 5 or the free KONTAKT PLAYER, ACTION STRINGS delivers driving string phrases and short motifs with an extremely natural and expansive sound. The flexible instrument provides producers of all skill levels with a inspiring resource for adding drama and movement to film and game scores, as well as rock, pop and urban tracks. 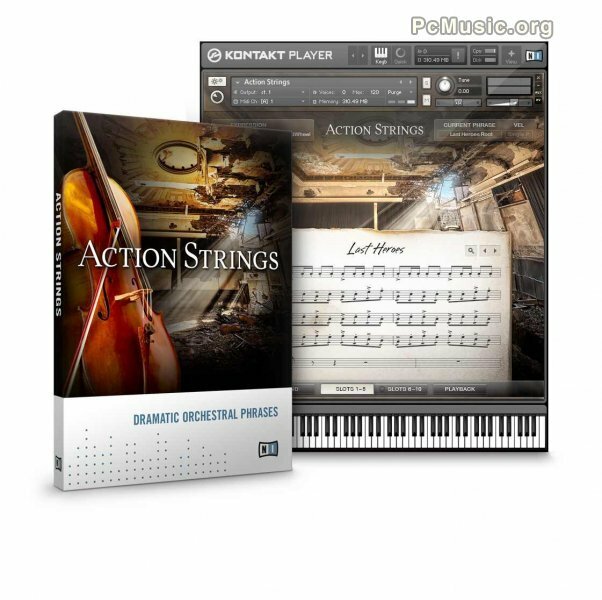 Performed by the FILMharmonic Orchestra Prague, Action Strings provides producers with over 14GB of musical phrases, carefully sampled by renowned score production company Dynamedion. The orchestra is made up of a high ensemble featuring 22 violins, eight violas and six cellos, as well as a low ensemble containing ten violas, eight cellos and six basses. The phrases range from basic rhythmic patterns to intricate melodies, each recorded live in every key, and in two dynamic levels.